Weyakheya of ‘Waqt Vicharey So Banda Hoye’ by Baba Daljit Singh Ji (Preet Nagar, Amritsar). You can follow any responses to this entry through the RSS 2.0 feed. You can leave a response, or trackback from your own site. 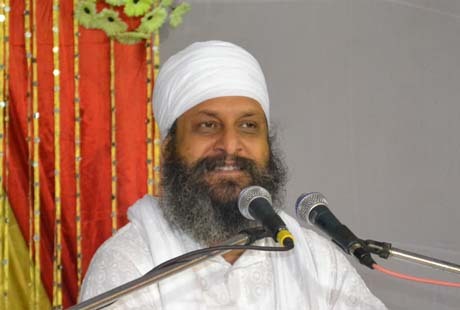 dear harpreet your efforts for bringing babaji’s prawachan via internet are absolutely appreciable. Live parwachans for the last two saturday were not very good audio quality….specially on this saturday i.e., july 26th the audio was so much breaking that the coun tinuity couldn#t be established.. please note..You are requested to post this thursday parwachan under preachings please. Once again your efforts to bring babaji’s parwachans on internet is really appreciable..Thanks! Thanks for the appreciation but whatever we do is just because of blessings of BabaJi. Regarding degraded quality, we have some issues with the internet connection. We are in process of getting a backup connection but due to lack of funds and resources, the process is being delayed. Also, please note that posting the parwachan online is a scheduled process and will be posting those parwachan as per schedule.